The atmosphere at Tower Hamlets Council is now so poisonous, and in some quarters overtly aggressive, that it risks undermining the borough’s bid to attain City status in the Queen’s Diamond Jubilee year, I’ve been told. Commander John Ludgate, the Deputy Lieutenant of Greater London for Tower Hamlets, whose role includes representing the Queen at civic events, is, I hear, deeply concerned about how the antics and the ugly behaviour of certain councillors play out in the public arena. Apparently, he thinks Tower Hamlets has a decent chance of winning the competition but the nastiness at council level risks ruining it. He was sitting on the dais at last night’s full council meeting which again descended into an unattractive farce as a row erupted between the chair of the council, Cllr Mizan Chaudhury and Mayor Lutfur Rahman’s sidekick, Cllr Alibor Choudhury. The argument has been brewing for some time. 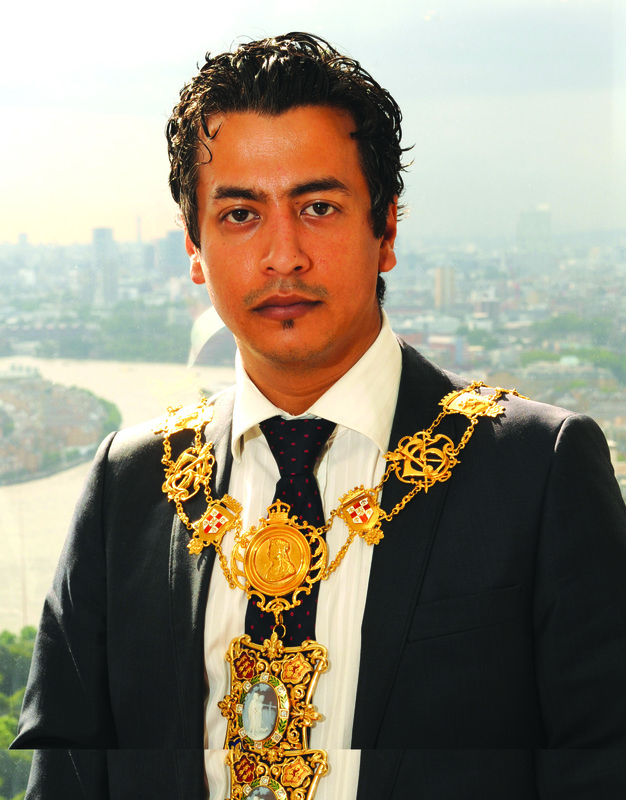 Mizan is a Labour councillor and he gets to wear the ceremonial robes and chain. His role was formerly entitled civic mayor. Although its name changed to chair when Lutfur became the directly elected executive mayor, the role has remained the same. The chair chairs council meetings – supposedly independently – and represents the council at various civic and non-political functions, and greets important visitors, including the captains of foreign ships. However, since his election last year, Lutfur has had a bit of mayoral envy. At the same time as spending £120,000 upgrading his own suite of offices and splashing out £75 a day hiring the luxury Lutfumobile, he first shoved Mizan into a shoebox office, then banned him from holding a cost-free welcome bash for dignitaries, and then a couple of weeks ago he removed the car was being used for ceremonial duties (a story run by the Evening Standard but not, bizarrely, by the East London Advertiser, which is increasingly referred to by councillors as East End Life Lite for its minimal coverage of the borough’s important politics). Mizan has been clearly riled by these decisions and last night, former small m mayor Doros Ullah spoke to the chamber in his defence. He said he was dismayed by Lutfur’s behaviour. This produced an angry response from Alibor, who does seem to be ever so angry and borderline aggressive these days. As Alibor threw accusations at Mizan and as Mizan lost his cool and forgot his independent role, all hell broke out in the public gallery where one man hurled what must have been a particularly insulting insult in Bangla or Sylheti which caused his eviction from the building. (Those unfamiliar with Tower Hamlets Council meetings should be aware that turning up without any knowledge of Bangla or Sylheti puts you at a serious disadvantage, particularly when councillors start switching from English in the chamber itself). The meeting had to be adjourned to allow everyone to calm down but the ill feeling remained. This constitutional wrangling between the two mayors is understandable in some ways. I can see that Lutfur should wish to be seen as the borough’s main man, particularly as the civic role is held by a political enemy who might quietly wish to undermine the elected executive. But both boys really need to grow up and have more respect for the history of the office. The role of the civic mayor is meant to be dignified and impartial. In Newham, elected mayor Sir Robin Wales wears the chains but I think it would be a mistake to go down that route because that only serves to inflate over-inflated egos. I think the solution lies in Hackney, which also has a directly elected mayor. There, the former civic mayor is known as the Speaker and that seems to be a perfectly appropriate and sensible title. It also more accurately sums up what the holder of that office actually does (most people can surely relate it to the Speaker of the Commons). In another area where Hackney beats Tower Hamlets, its council’s communications department clearly defines what the Speaker does on its website. See here. It is clearly wrong that the ceremonial representative of the borough has to travel to events with what Doros Ullah last night described as the “most beautiful chain in London” in a black cab. Not only that, it’s an insult to those attend such functions for whom the visits are often really meaningful and welcome. Lutfur needs to rise above such pettiness and show some leadership. Last night, Alibor tried to argue that the decision to strip Mizan of his dignity was justified in an era of cuts. But that won’t wash when Lutfur spends so much on himself and when the savings aren’t that great anyway. The decision just makes them look silly. The pair of them need to acknowledge the bitterness is bad, agree to a formal change of title from Chair to Speaker, and Lutfur needs to reinstate the car and a decent sized office for the Speaker’s guests. Such a decision would also please Commander Ludgate, not only because it would shower Tower Hamlets in a more grown up light, but also because he would no longer have to get the DLR home after civic functions….Mizan used to give him a lift.